Aaron attempts Barron Lake Triathlon again! After my Dad got sick, I set a goal to run my first 5K in December of 2012. Before I knew it I was training for my first half marathon in Nashville April 2013. Now I have a handful of half marathons under my belt, countless 5K's, Multiple Chicago Tough Mudders, and now my 2nd triathlon ever!. Dad told me he never thought I'd become a runner. Can you imagine what he will think when I finish the Barron Lake Triathlon? The Racing for Steve-O Foundation was Dads vision to advocate and raise funds to help every child have the opportunity to be involved in sports and athletics regardless of the physical, mental and financial barriers. This foundation will be able to reach out to so many kids and really do some good. Any donation to help me reach my goal would be appreciated. $1, $5, $10, $25... If all my "friends" on FB donated $1, my goal would be blown out of the water!!! 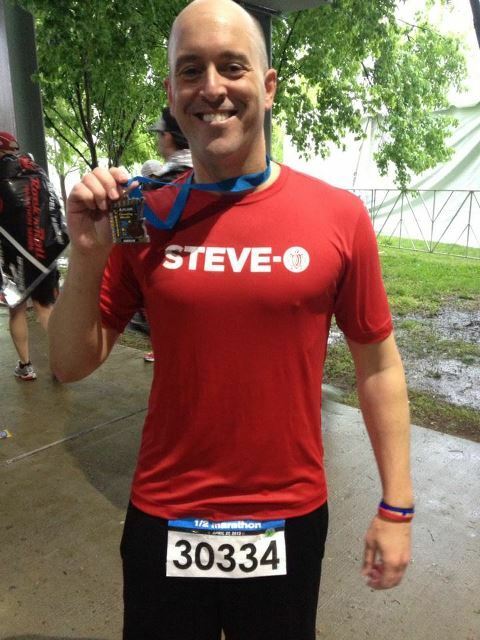 I'm racing for my Dad and to promote the Racing for Steve-O Foundation. If you'd prefer to send a check, please make them out to "Racing For Steve-O, Inc" c/o Sarah Cira 14831 Copper Penny Dr. Granger, IN. 46530. Please be sure to add my name on the memo section of the check so I receive credit for the donation. Thank you!